TThis was a very simple circuit that MM’s collaborator Bob Myer designed to boost a guitar’s signal for testing. MM could see the marketing potential in this little circuit and designed the LPB-1, which was designed to be plugged directly into the amp with a jack installed into the amplifier side. 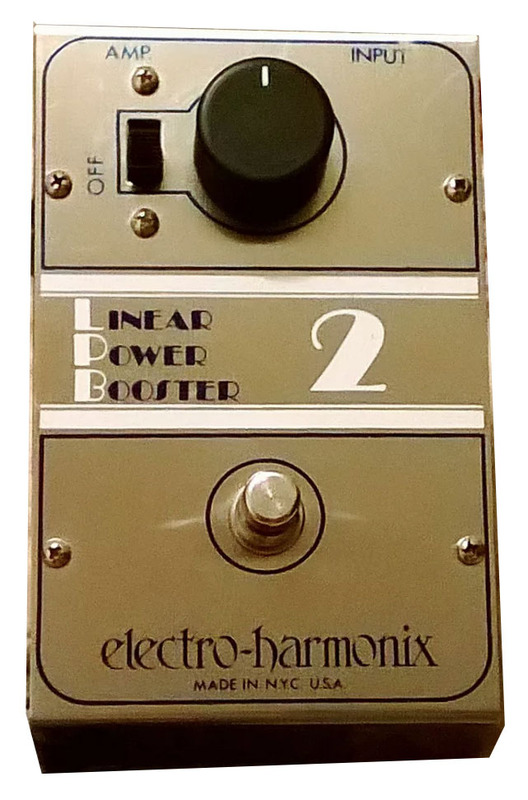 The graphics changed through the years… the example above was very indicative of EHX’s early pedals.The above looks similar to the triangle Big Muff. The next LPB-1 followed the look of the Ram’s Head Big Muff’s.